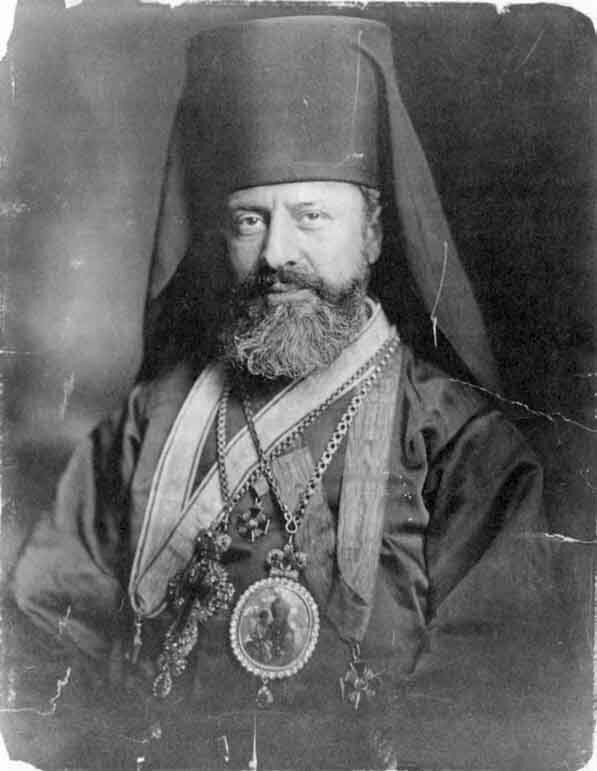 I say with solemn earnestness that the battle will be fought in the United States between Orthodoxy, by which I mean “the faith once for all delivered unto the saints,” as saith St. Jude, and now alone kept by the Holy Orthodox Church of which you and I have the honor of being members, and all others, whether Roman Catholic, Anglican, Protestant, Unitarian or Nothingarian. Samson lost his strength when he played the fool with Delilah, who pretended love so as to disarm him of his source of power over the foes of the ancient Israel. We Orthodox, both Clergy and Laity, will lose all our strength if for the sake of society blandishments, whether clerical or lay, of those who hold not the Faith, betray our trust. Sooner or later we will find the Philistines rushing in upon us. There is a great and growing misunderstanding on the part of the Laity to wit, that, there is actually a union, or that, there will be, in the very near future, a corporate Union, between the Protestant Episcopal Church and the Holy Orthodox in America at least. The result is that the Laity in some sections are being confused in their doctrinal belief as well as growing careless about other requirements of the Holy Orthodox Church. In fact they neither know what to believe nor to reject, – much less which Church it is their duty to sustain. Some of the Protestant Episcopal Clergy have taken upon themselves, through misunderstanding, to offer their services to Orthodox people, when even Orthodox Priests were within calling distance to minister to them; thus conveying the idea that, they, the Protestant Episcopal Clergy, were accepted as Holy Orthodox and that, there was no need of the ministrations or pastoral care of their own Orthodox Bishops and Clergy. The full text of this letter may be found at this link. Now, imagine the position of St. Raphael. He was a vice president of the Anglican and Eastern Orthodox Churches Union. He had frequent dealings with Episcopalians, as did his associates in the Russian Archdiocese. Talk of union was in the air. 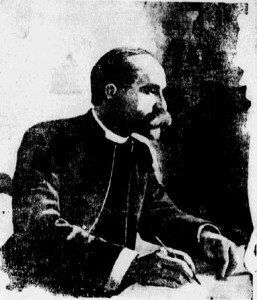 His June 1910 letter was well-received by Episcopalians and not publicly criticized by any Orthodox people. But he saw, and Irvine called attention to, the error of that 1910 letter. It must have taken immense humility for St. Raphael to rescind his permission and withdraw from the Union. I’m sure he had many long discussions with Irvine beforehand, and he must have ultimately instructed Irvine to draft two letters on his behalf. St. Raphael read them, and perhaps edited them (for an unadulterated Irvine letter could be abrasive). The whole affair must have been painful for St. Raphael, but, a century later, I am amazed at his openness and humility. As the June 1910 letter proves, he was not perfect, but his actions in 1911 are evidence of his genuine love for his flock. He was a great bishop. I believe this state of confusion has existed up until today. A Greek-American actress I knew was insistent that the ECUSA and GOA were in full communion with each other – her Episcopal priest had told her so and he was very educated. She had no qualms at all in attending and communing at her ECUSA church on the Upper West Side (where there is also a GOA church) and communing in Orthodox churches when she visited Greece. There is a practical as well as a dogmatic stance against ‘ecumenism’. ^That goes for the “Orthodox in communion with Rome,” the lifting of the 1054 anathemas, and the Vatican extending communion to the Orthodox as well. “We quote from the Presbytery of New Orleans: “The Presbyterial force has been materially strengthened by the addition of several consecrated and able young men, who, in the pastorate and in the evangelistic field, have been doing admirable and effective work. Our missions in New Orleans among the Chinese, the seamen and the negroes, are all flourishing.